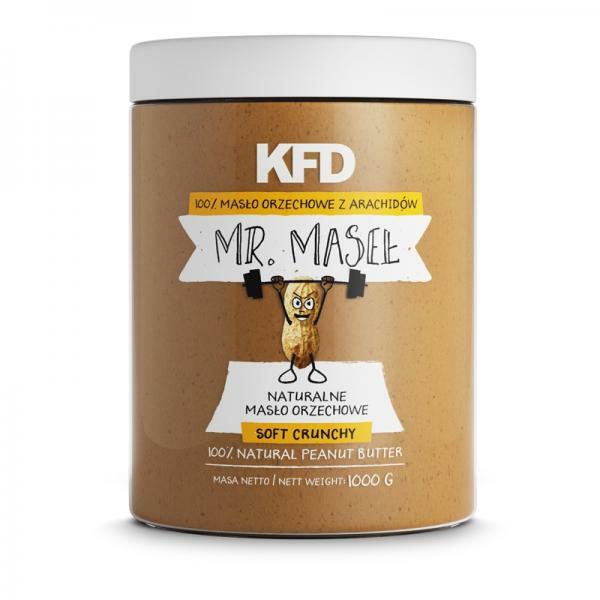 KFD Peanut Butter is 100% natural peanut butter from roasted peanuts, obtained by natural production methods by subjecting the nuts to grinding without any additives, until obtaining a smooth consistency. Our product does not contain any additives, so it is a healthier alternative to many products of this type (butters and nut creams) that can be found in stores. 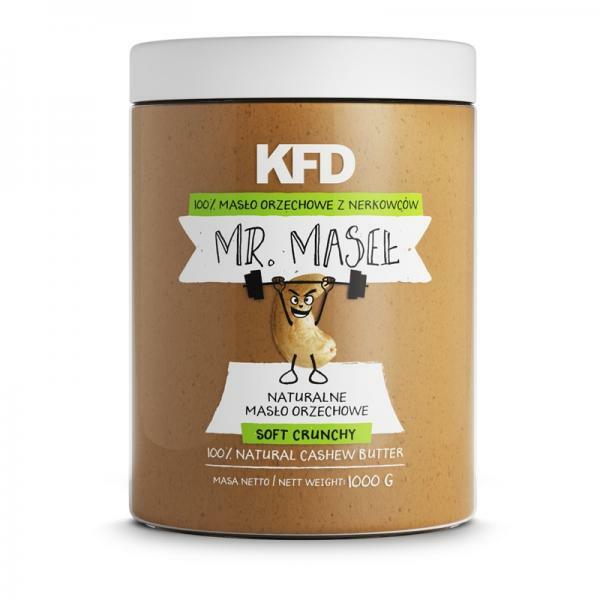 KFD Peanut butter with peanuts is a product with a high content of dietary fiber and unsaturated fats (mono- and polyunsaturated fatty acids), as well as a rich source of vegetable protein, vitamins and minerals (especially vitamin B3 and potassium). The substances contained in peanuts support the nervous system - soothe the nerves, relieve stress and help you fall asleep. They also reduce the level of bad cholesterol and prevent atherosclerosis, as well as heart disease and arterial hypertension. They also have a positive effect on memory, concentration and potency. Our product is in the "soft crunchy" version - it has a smooth consistency with the addition of crispy pieces of nuts.